I don't know what beef is this really. More like throwing everything they have the in the kitchen and then stir fry it. It was super salty I had to drink so many glasses of water. 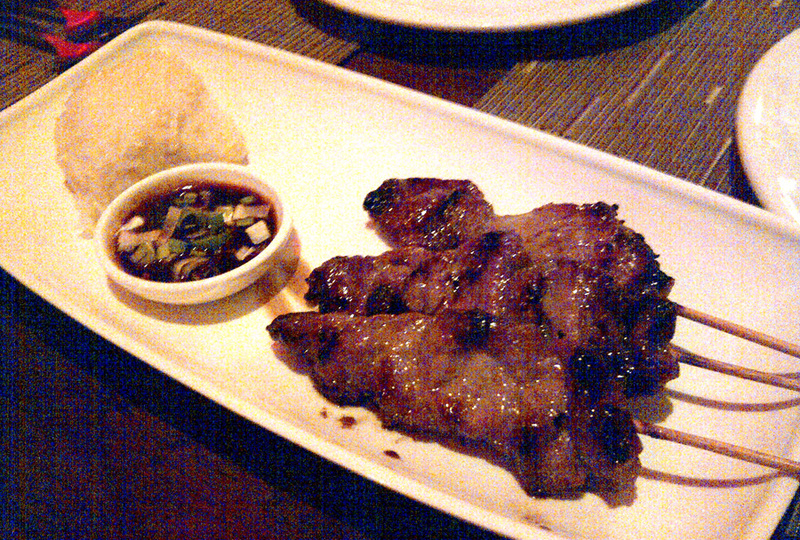 Meat skewers. Nothing extraordinary, really. Funny I never really knew that this is a Thai thing. 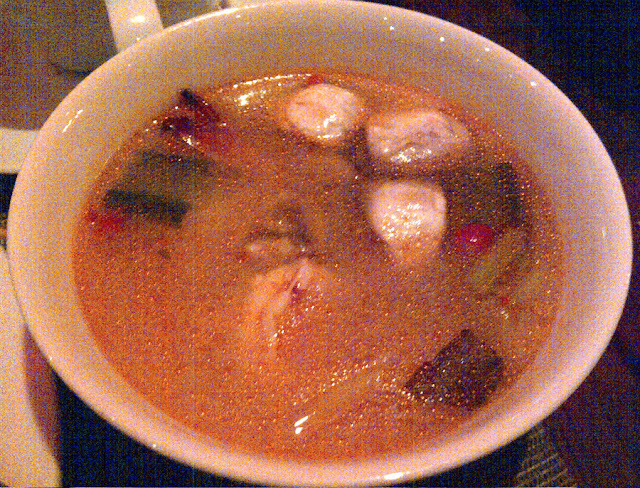 Tom yum clear soup was so salty as well. 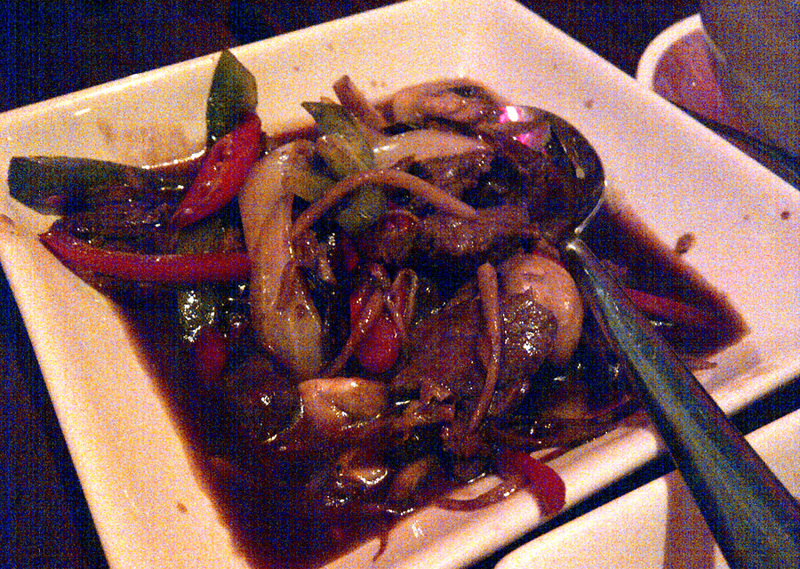 A little bit spicy, perhaps that was it. Overall, I didn't really enjoy the meal. Not very authentic, adding too much of everything. The staff who served us was really horrible too. Either he's not willing to work or something was really wrong with him that night. He was so demotivated to work, he couldn't even walk like a normal person - he was dragging his feet on the floor while walking and made that really irritating noise. Every time we asked for something - eg extra bowl for soup, spoons for soup (Like DUH? Am I supposed to use a fork to drink the soup?) he was so reluctant to do. All he kept doing was chatting with the other waitress in the restaurant. Really? I will consider to come back for the food if it's good, but too bad nothing's really worth my time and money. 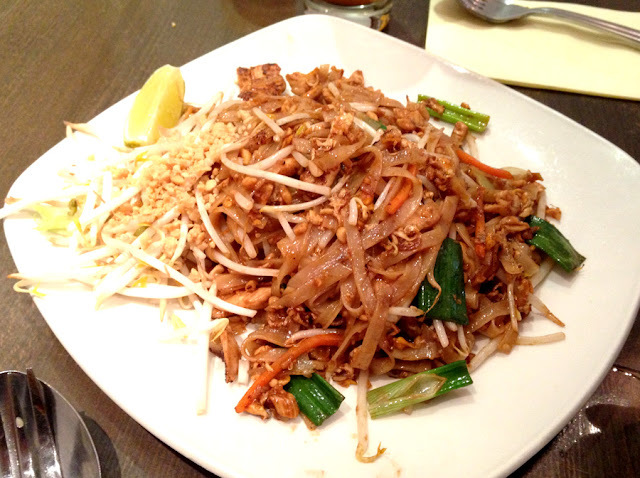 I'd rather go to Patara Thai. Sorry for the really bad quality pictures, probably just as bad as the actual food itself. Oh yes, to add on, it's not cheap to dine here either. Thai ice tea. It's so sweet, if you don't like sugary/sweet stuff, don't order because this drink is sweet irregardless. It has very strong condensed milk taste as well. Felt like I was drinking teh tarik with too much of condensed milk... I didn't really like it that much because it's sweet. All of us had the £10 for 3 meals - starter, main and dessert. 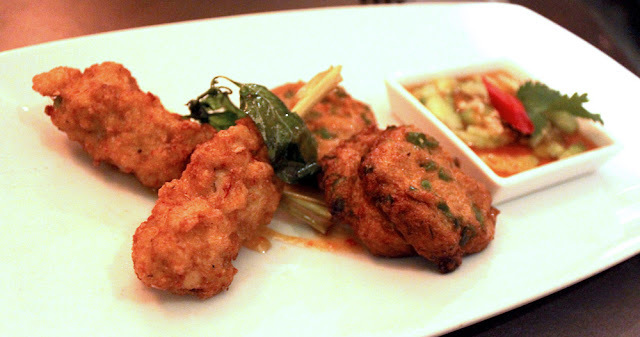 The most typical Thai starter would be the Thai fish cakes. The sesame baguette slices were served hot and cripsy. The wanton... I find it a bit weird because this isn't a Thai dish. Nevertheless... the black sauce isn't soy sauce. It was some kind of thick sweet sauce.. Just weird. Not that it isn't good, it just isn't that authentic. 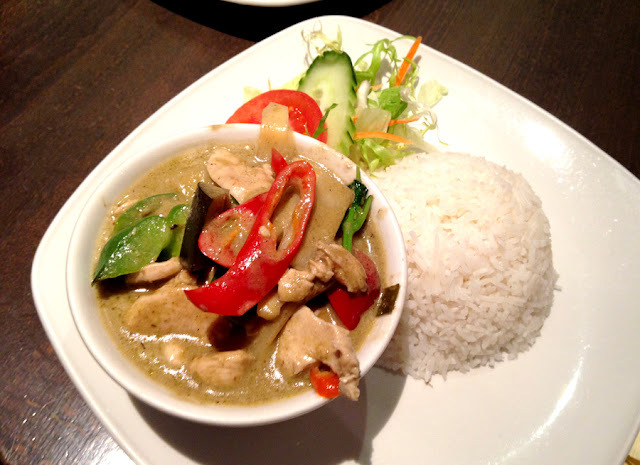 Green curry... with tonnes of bamboo shoots in it. I don't really understand why must there be so much of bamboo shoots in it? It could have been better if there are no bamboo shoots in it. 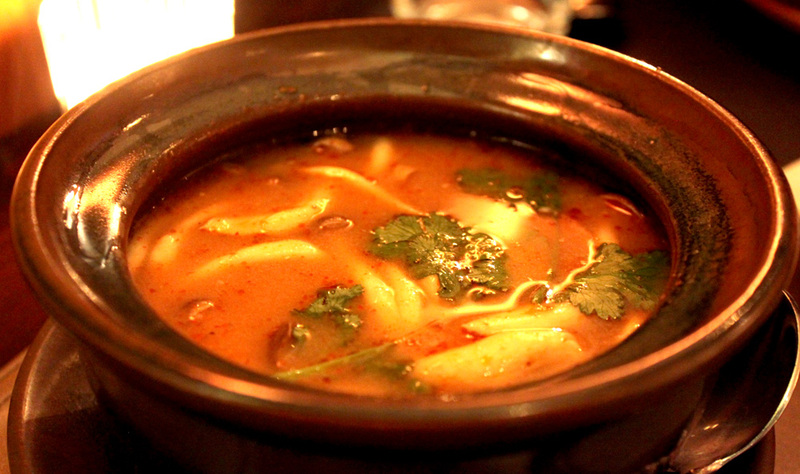 At least quarter of the bowl had slices of bamboo shoots. Unfortunately I find that very disappointing because that's just a method to "reduce cost" by filling the bowl with ingredients that should not be in. 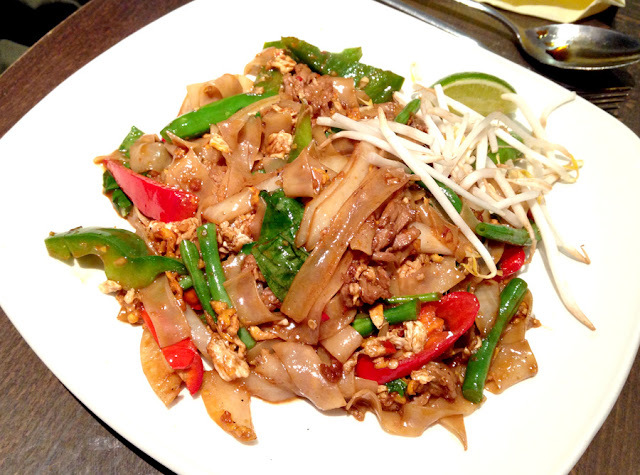 Drunken noodles. The name is really interesting!! So do I get drunk from eating these noodles or the noodles are for drunk people :PP Anyway, the taste did not differ much from the Pad Thai, like a sweeter (and spicier) version of Char Kueh Teow. 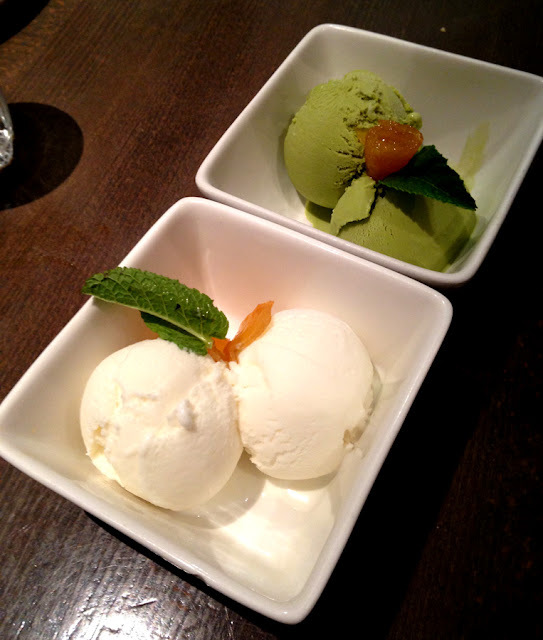 Coconut ice cream and green tea ice cream to end our meal. The coconut ice cream was fantastic though. It has those little bits of coconut in it and I really love it. 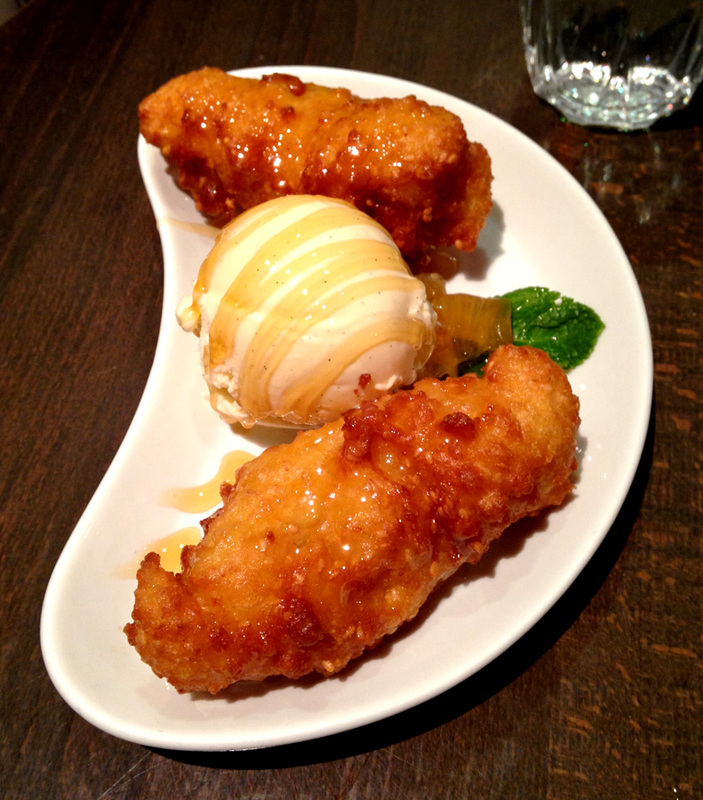 Banana fritter with vanilla ice cream. It was served hot, so hot it will burn your tongue, really. It's just battered banana with caramel / honey / syrup. 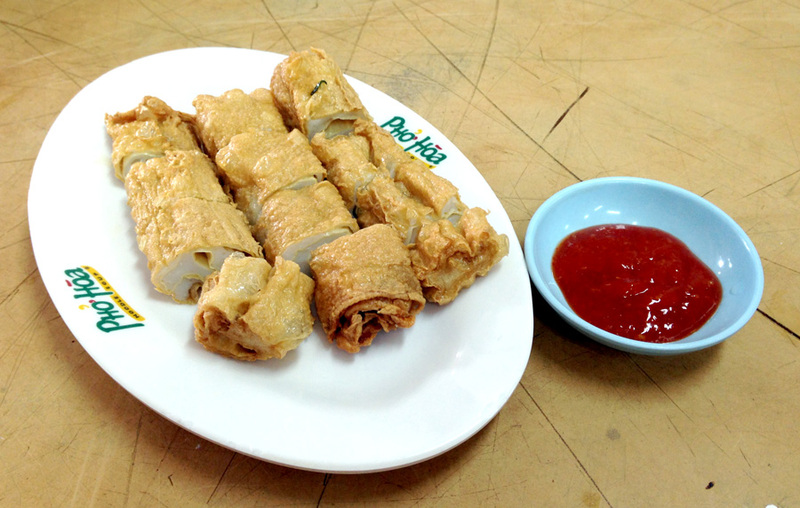 So it's sweet + hot + slight savoury because of the batter. Which is not too bad. 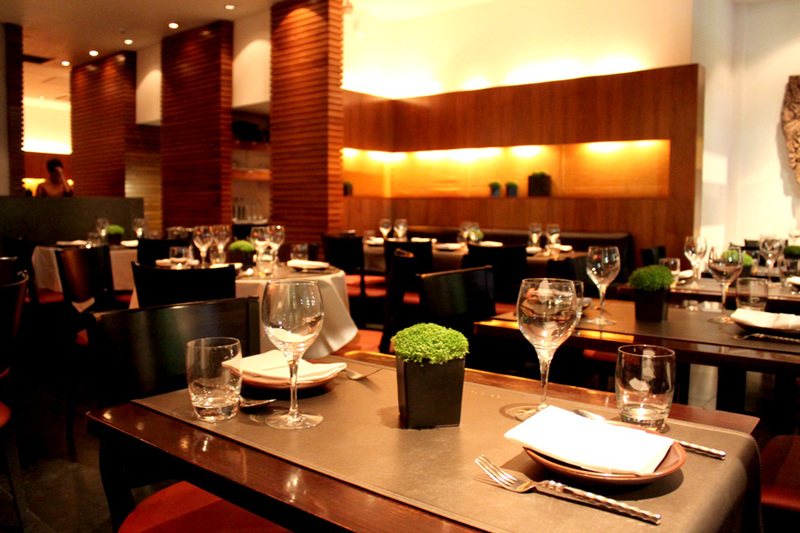 Overall I wouldn't say the food is superbly good but it is not bad. Taste / Quality is there, but can be improved. Again, no complains since it is £10 for 3 courses, which is a pretty good deal in central London. 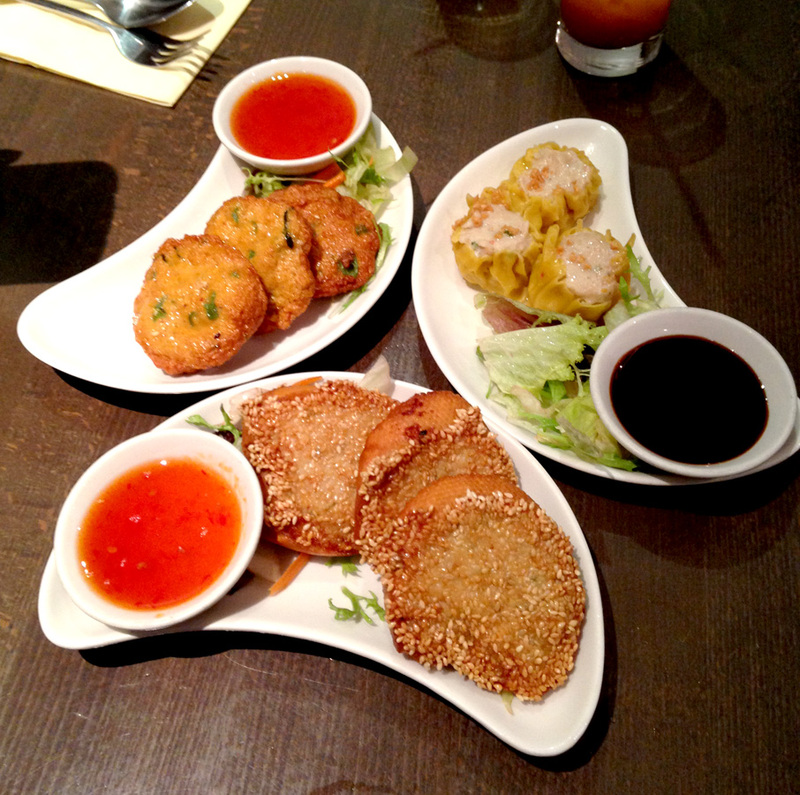 I noticed that they do serve Thai tapas which is quite interesting. I believe those are snack dishes that comes in small portions like Spanish tapas. 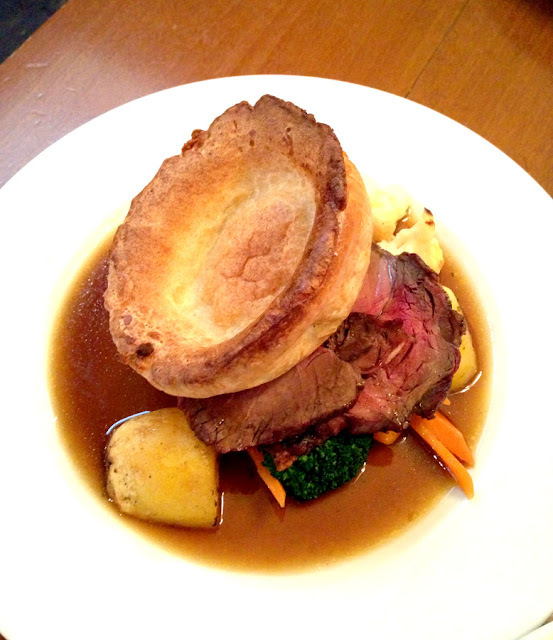 You may want to try that if the main doesn't seem very much appealing. The lady in the hostel recommended this place for bar food. 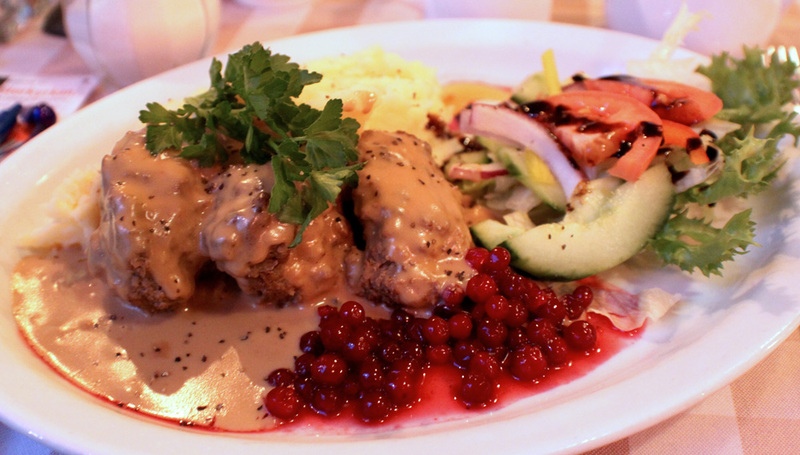 We ordered the famous Swedish meatballs for lunch. 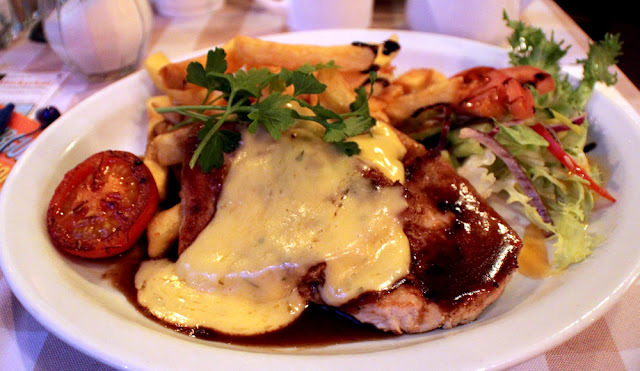 Pork fillets. A little too chewy, I didn't really like it. 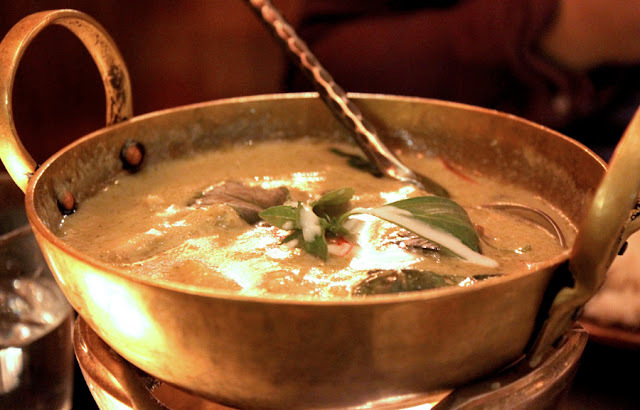 Green curry served on a hot pot. Interesting how they served it on a hot pot, to keep it warm because it wouldn't be as great if it's cold. The restaurant is really cold.... So the food gets cold really quickly. These are all my favourite fruits, you should try it if you like them too..
Soy bean juice + cincau (grass jelly) = Michael Jackson. That's what they call it in Malaysia because he's black and white. 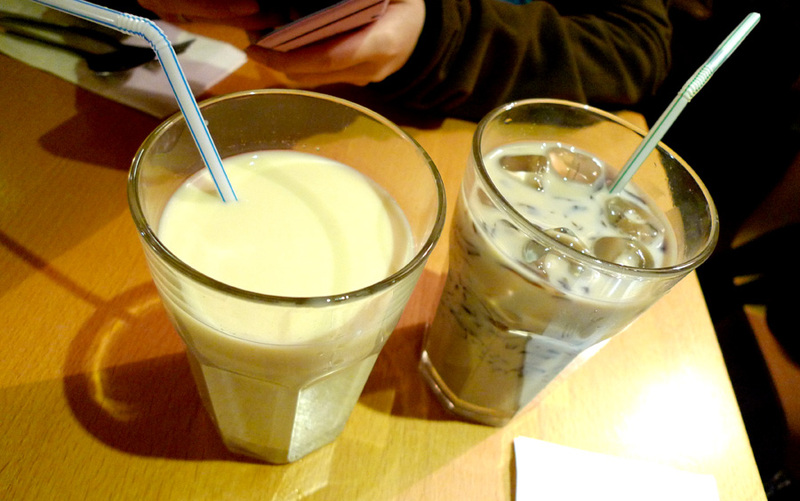 :P Anyway the soy bean juice tasted horrible! It has some kind of unpleasant taste in it and it's so sweet... I could barely even taste the soybean. 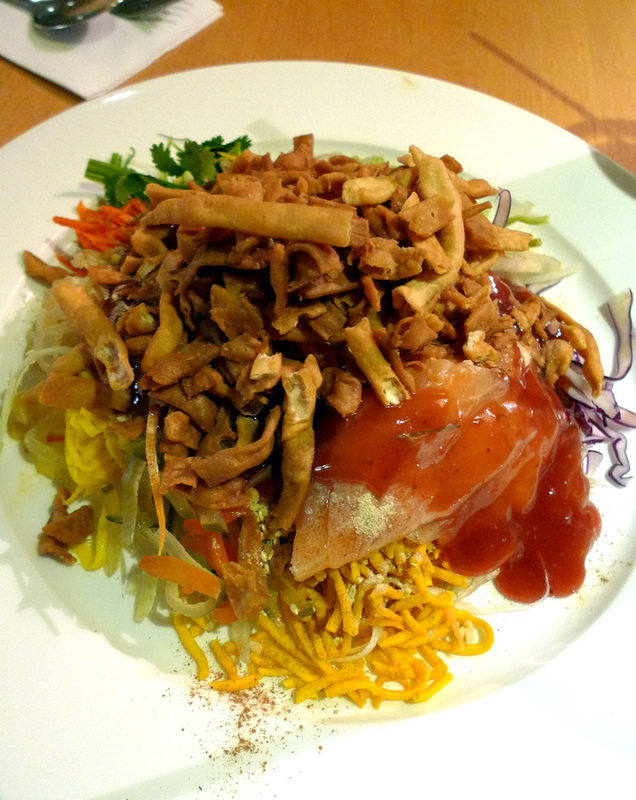 Yee Sang we had during Chinese New year. Can't really expect much as it costs about £10 for it? Obviously that isn't freshly made. 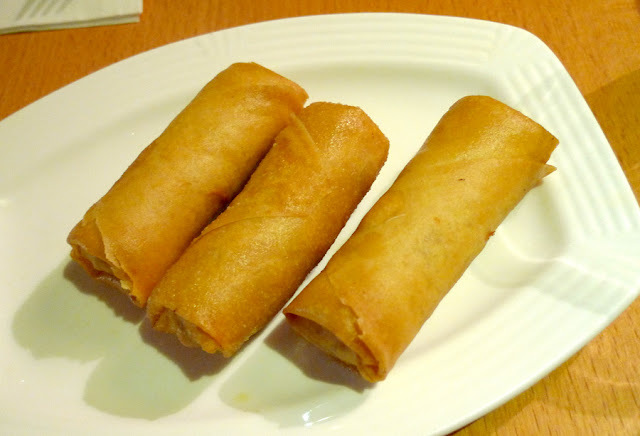 The curry spring roll is really good. The inner part is the exact same thing in a currypuff.. Bits of potatoes, chicken cubes and curry. 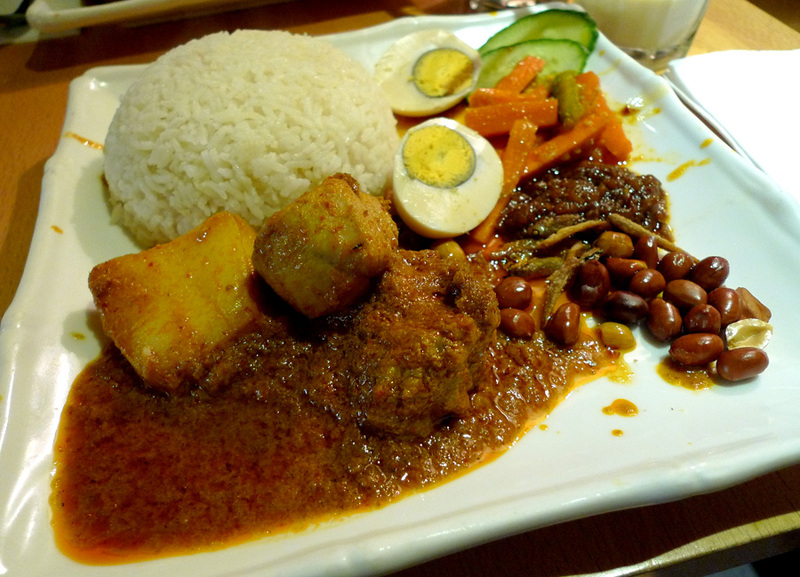 It is really spicy..
Nasi lemak was OK for London's standard... It would have been better if the chicken is spicy. 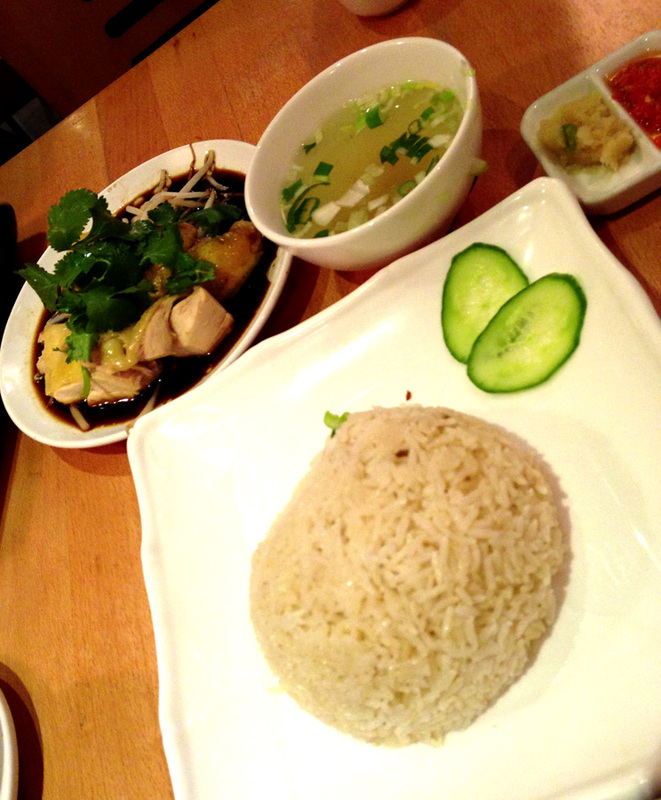 Probably one of the worst Hainanese Chicken Rice. 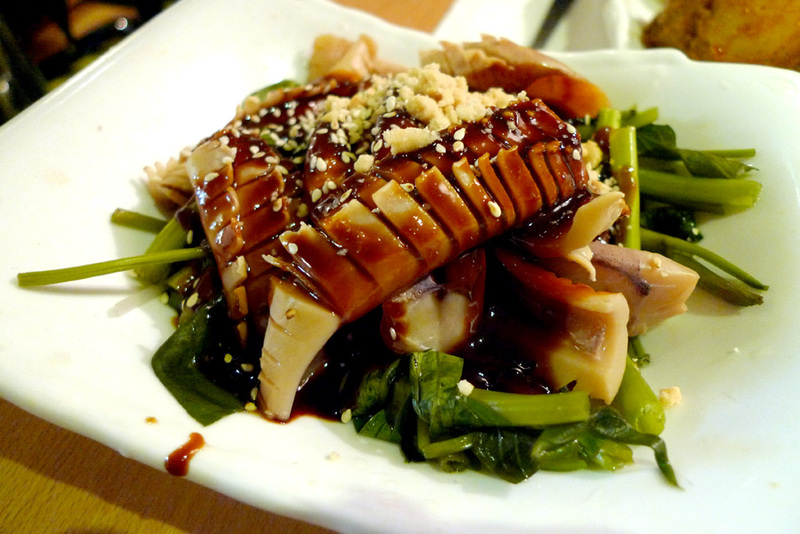 The soy sauce itself is so wrong, it's too thick and too salty. The chicken was really dry and tasteless. Chicken rice is actually one of the simplest thing that can never go wrong.. Fail! Tauhu bakar (grilled crispy tofu).. It was not really grilled... At least not long enough. Taufu bakar yang langsung tak bakar, apa ini? Anyway I felt like I was eating grass or something. Tauhu bakar should have sauce and bits of peanuts on it. Sweet, juicy, crispy should be the right combination which makes it really appetizing not dry, half-cooked, not really grilled. It's just wrong!! I wouldn't order this one again. 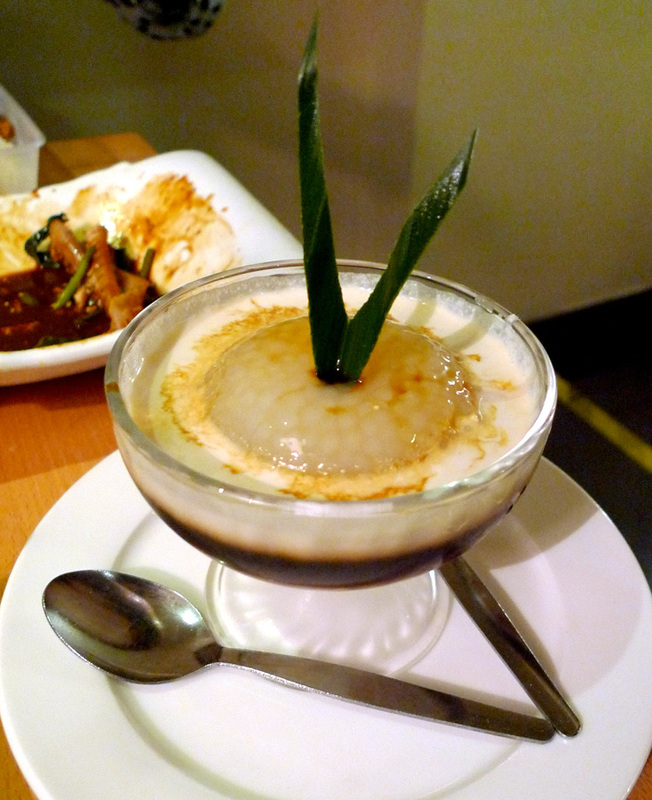 Sago pudding was OK. Sago pearls drowned in a bowl of coconut milk and sago melaka (palm sugar). That perfect dessert to end the day. I don't think that's fresh coconut milk, but it's considerably OK in London. 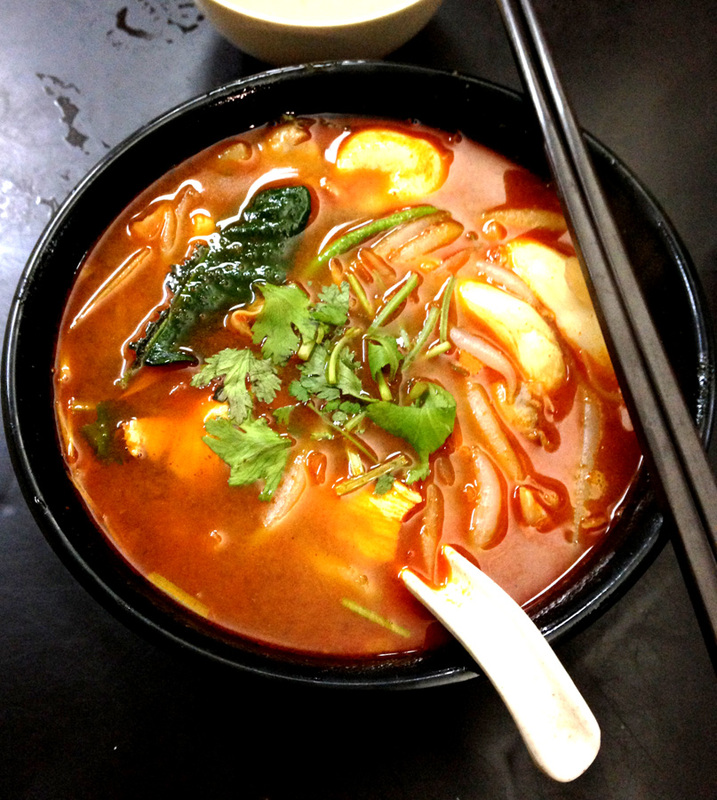 That tom yum lou shu fun that I really miss. To be honest the price of their food is fairly higher than other coffee shops in Central... For some reason I'm guessing people don't really like this place is because the price is high and the portion is small. 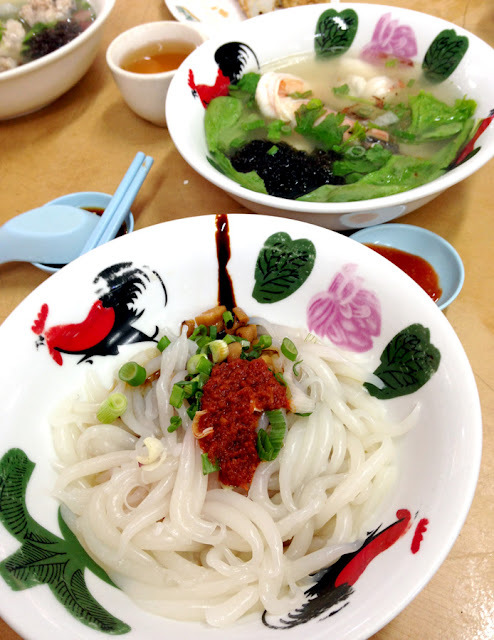 It costs about RM 6-7 for a bowl of noodle. May not be accurate as the food price increases from time to time... Apart from the pricing, they are SO slow.. Especially during lunch hours! If you don't have the time to wait then don't bother. The longest I've waited for a bowl of noodle was 45 minutes. 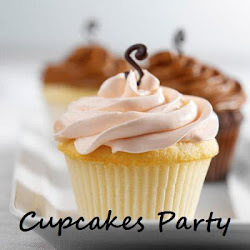 Be there earlier if you want to avoid the long wait. *Exact address is not available. Fried fu chuk to start off. My favourite lou shu fun as usual.. You can choose whatever you like in your soup... Fish, prawn, clams, squid etc. If you love chilli, remember to ask for it, it's super spicy! 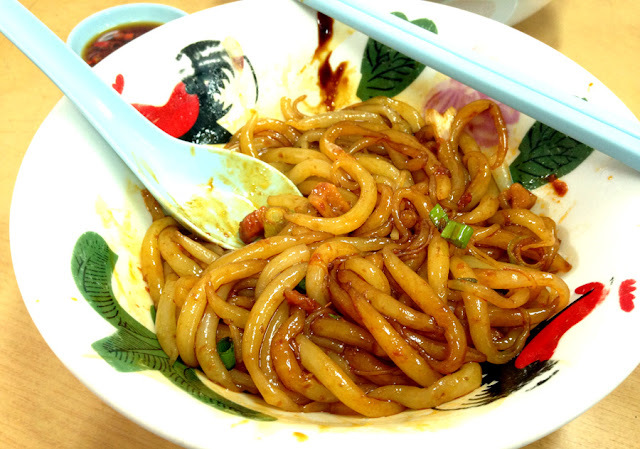 Well do serve other noodles as well - mee hun, hor fun and some other types. 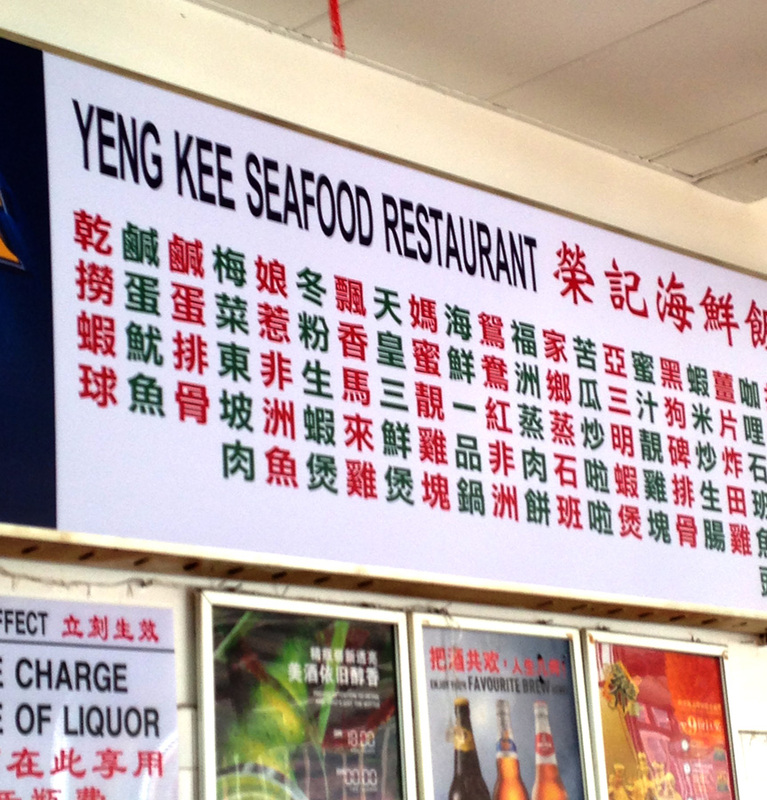 Well I can't read Mandarin but I believe that's the menu :P. I got myself a bowl of fish fillets and prawn. 4-5 people can eat up to RM100. Ahh the damage. But that's because they serve really good seafood. But it varies from time to time though... Sometimes the Lalas (Clams) are very small, but the price is still the same. That's why I opted for the fish instead. Surprisingly the Lalas were really huge that day! Worth it? For a typical coffeeshop to serve a bowl of noodle that costs almost RM20, it's really overpriced. Well at least the quality is there, and it's really good. If you don't mind paying that much, why not yeah. 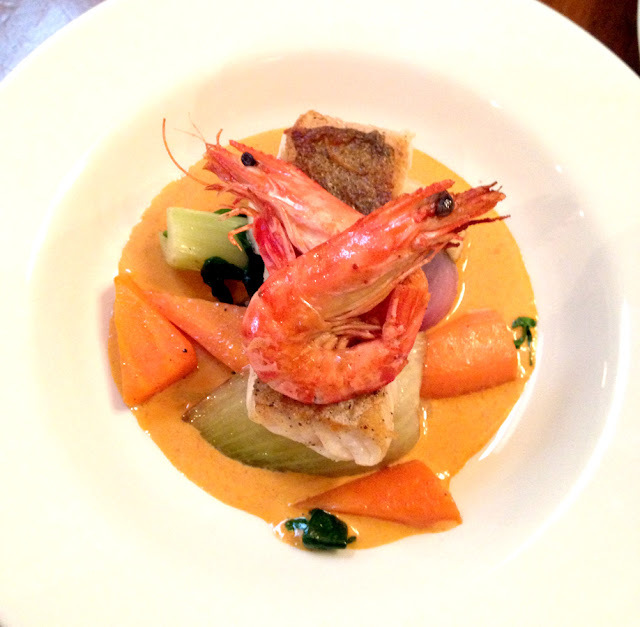 Fish and prawn with some creamy thick sauce. The sauce wasn't really good with the prawn, but it went really well with the fish. Perhaps that's why they left the prawn on the fish.. I don't know how to describe how the sauce tastes like, it's their specialty.. 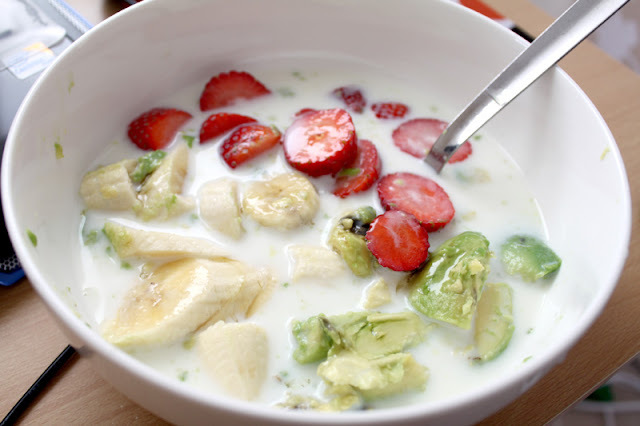 It's similar to thickened cream but there are additional stuff in it... Herbs maybe? Pavlova. 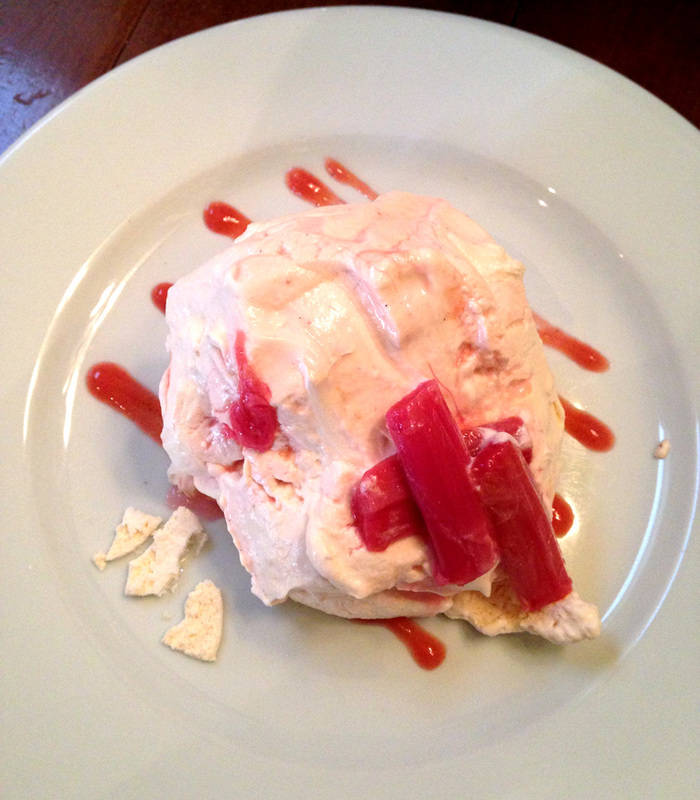 Oh I really love the pavlova, it melts in the mouth!! But I didn't really like that red-striped thing. It's some sourish strawberry sticks, perhaps you'll like it if you love sourish food. 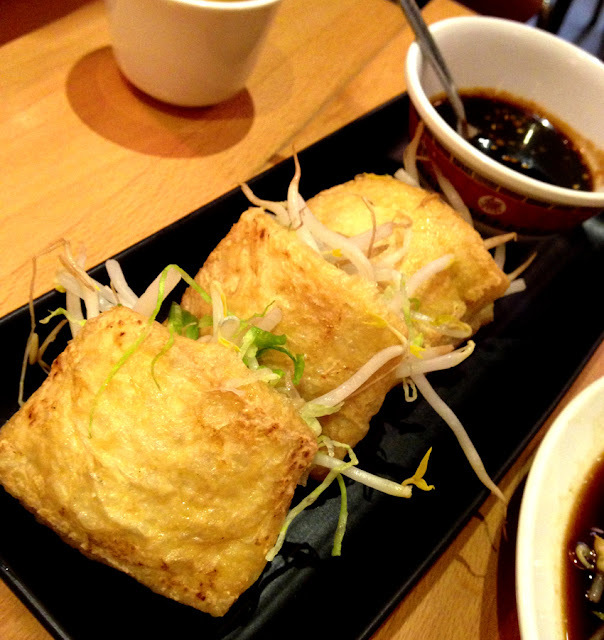 Fried fu chuk. Nothing special, really. 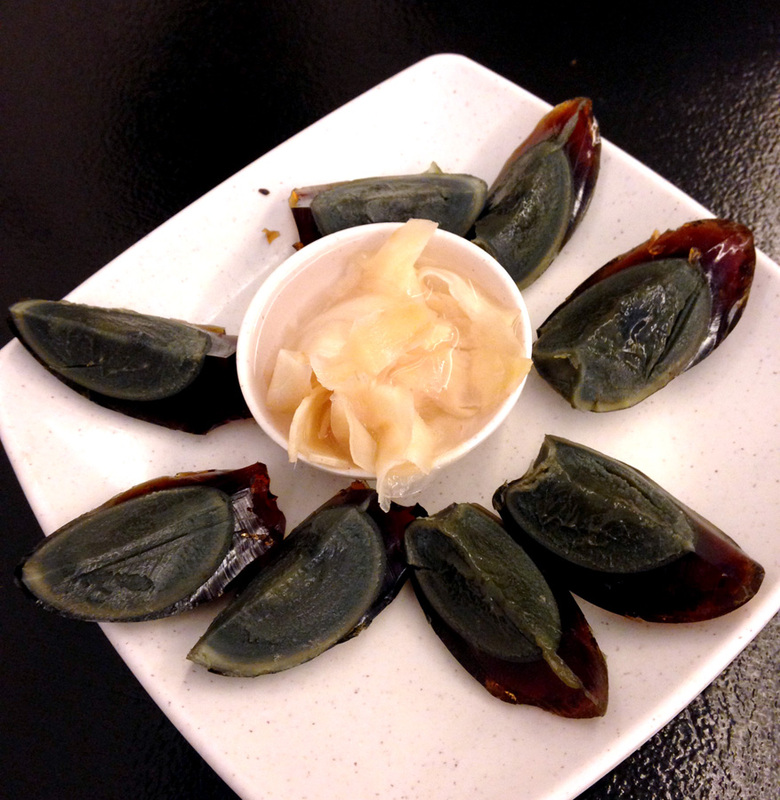 What's a good century egg? I don't even know. But I like it when the middle part of the yolk is creamy-looking as it totally melts in the mouth. I like having it with a slice of ginger. As for the ones they serve in this place, it was pretty good actually. Am utterly disappointed with the pan mee as well. 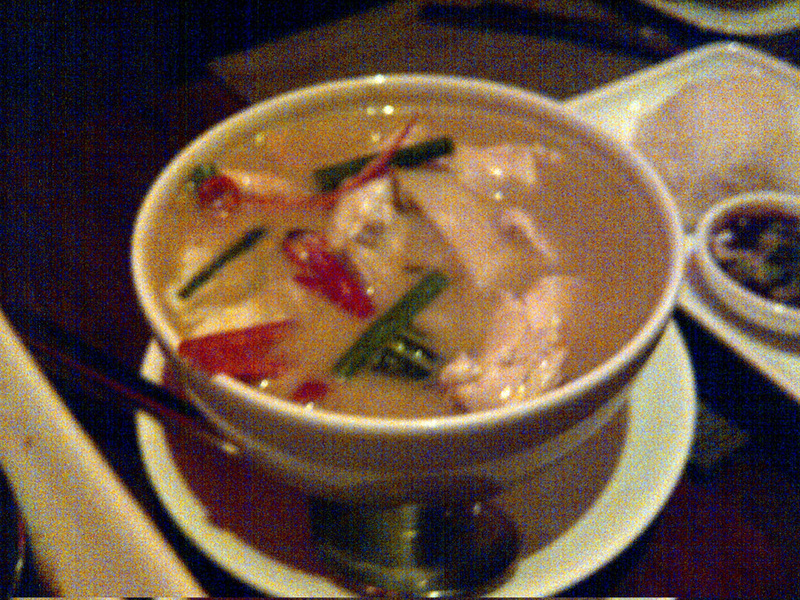 It's definitely not my tongue's problem, but the soup really tasted like chicken stock soup. 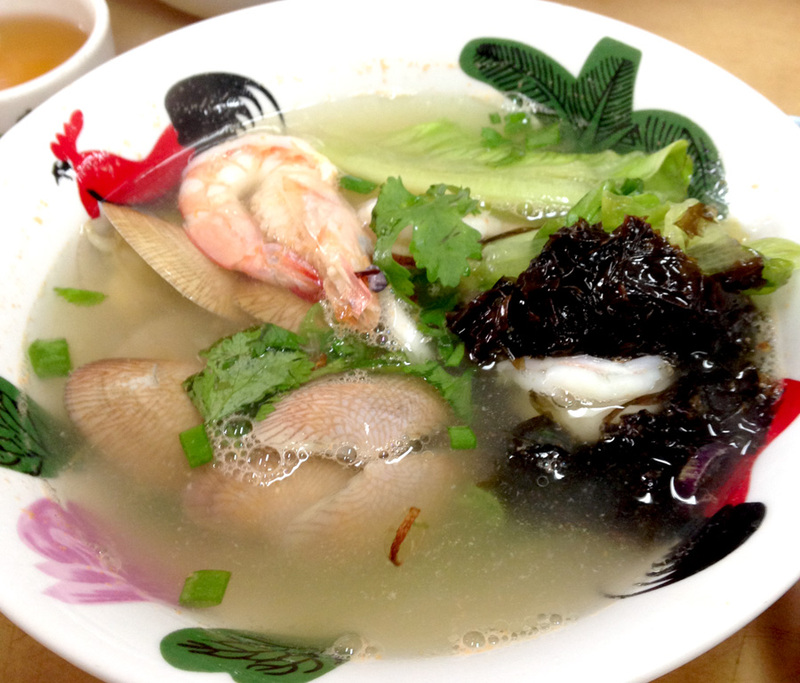 It felt as though I was drinking clear chicken stock soup, really. The noodle was alright though, not too thick. 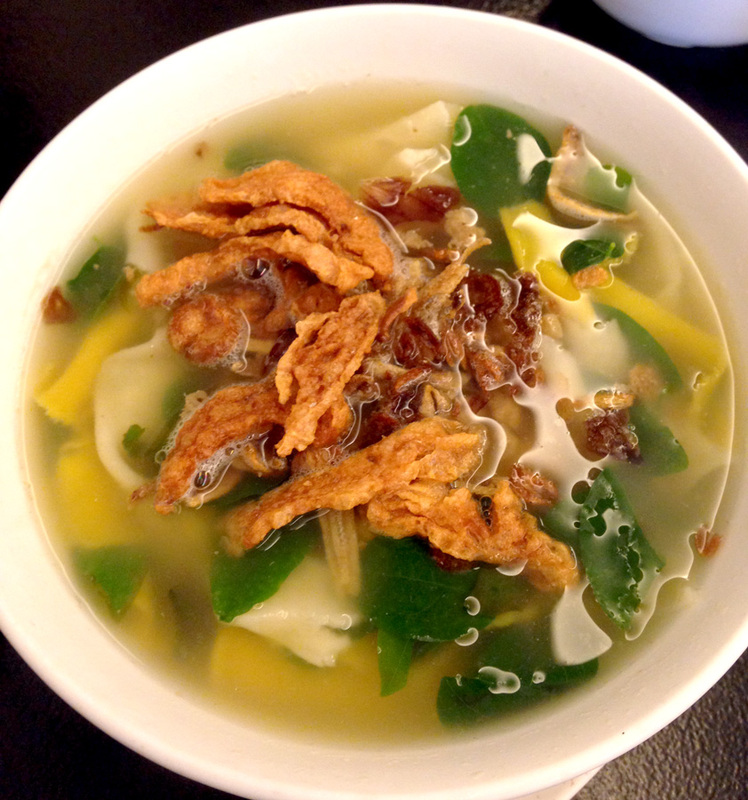 Cousin reckon that the pan mee at Traditional Recipe Restaurant in Pandan Jaya tasted better. I'm not sure because I've never been there. Whether it is or not, I won't ever order their pan mee anymore. They serve a variety of glutinous rice/zhong too. It's interesting to see their zhong menu - abalone zhong, hakka zhong, roasted pork zhong, nyonya zhong, sambal dried shrimps zhong, brown rice zhong and a few others. 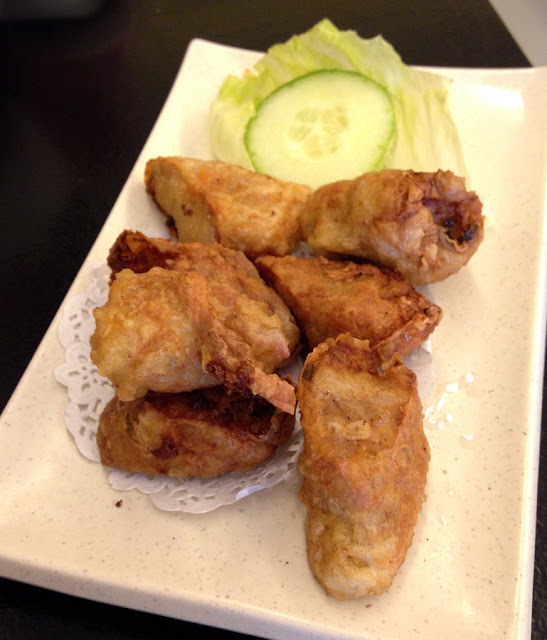 I ordered the hakka zhong because it's the normal one I usually eat. 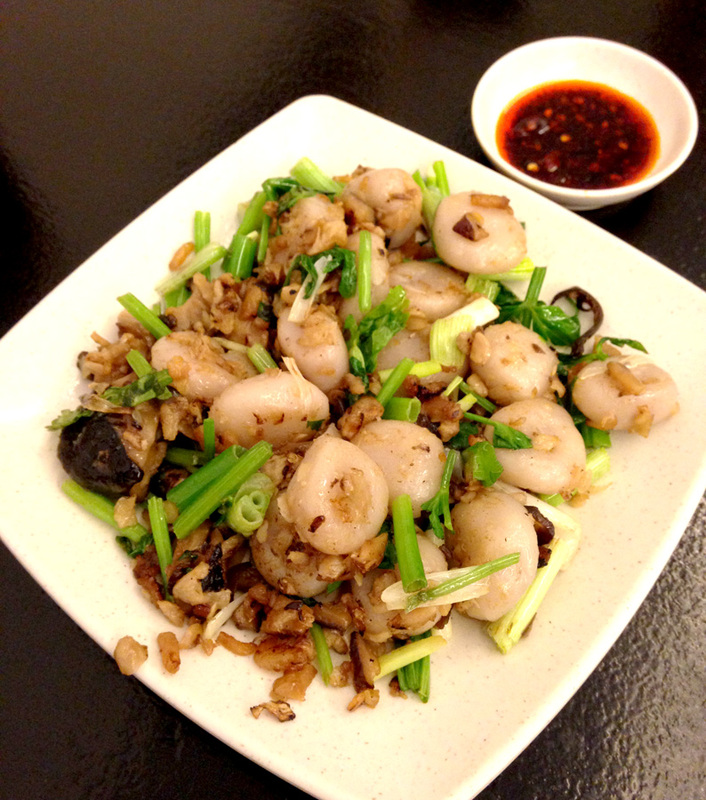 It has pork, dried shrimps, peanuts, mushrooms, salty egg and chestnut in it. Pretty decent actually. They also sell uncooked zhong if you wish to bring it back home. I'm quite eager to try the other zhongs. Maybe next time. I got a bit annoyed at the waiters in this shop as they could barely speak Canto/English/Malay. How am I supposed to convey my message? Asking for a cup of tea seems impossible. I had to wait till someone that has the ability to convey the message to do it. Seems redundant to hire staffs like that isn't it? 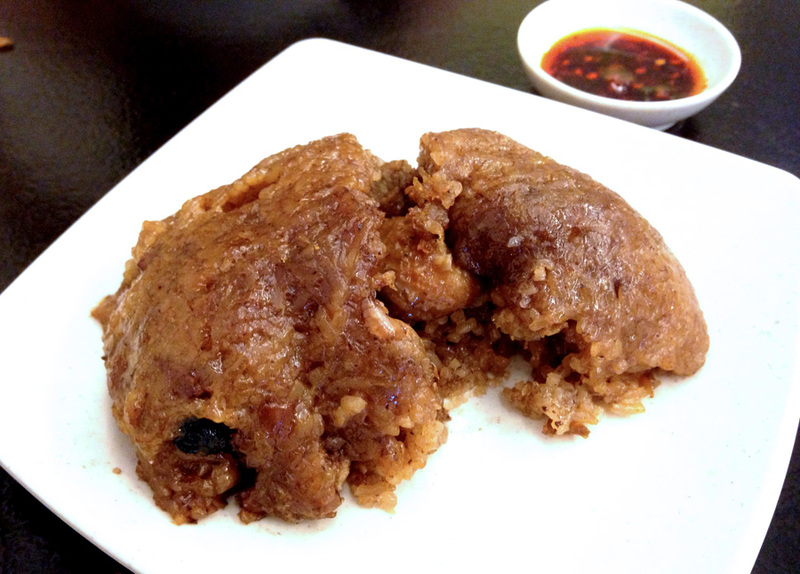 In conclusion, I would say that the glutinous rice/zhong is worth eating. I would go back for their zhongs, probably that's it.